Campbells is delighted to announce the expansion of its British Virgin Islands (BVI) offering following the recent grant of a Class III trust licence to its affiliate, Campbells Corporate Services (BVI) Limited (CCS BVI) by the British Virgin Islands Financial Services Commission. 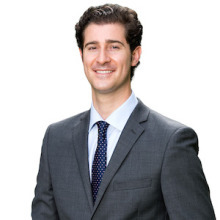 CCS BVI is headed up by Philipp Neumann, an experienced BVI qualified lawyer. Campbells is a leading offshore law firm advising on British Virgin Islands and Cayman Islands law with offices in the Cayman Islands, the BVI and Hong Kong. Our team of experienced professionals is committed to providing a first class service to our clients.